The statute of limitations for judgments in New York is defined by Article 2 of the Civil Practice Law and Rules section of the state code. As with all crimes and civil grievances, the statute of limitations on judgments adheres to specific time frames which vary depending on the nature of the allegations and the crime or grievance. The term judgment in legalese not only refers to the decision made by a court of law, but also to any obligations resulting from the pronouncement of this judgment, such as a debt. Though "judgment" may be used in both civil and criminal references, the term is usually associated with civil cases, because "verdict" is the preferred nomenclature for decisions made during criminal trials. In New York, the term statute of limitations only applies to judgments made in civil cases, because criminal convictions follow a different system of appeals. The appeals process will depend on the nature and severity of the crime. Money judgments made in New York have a statute of limitations of 20 years from the first day that the plaintiff was entitled to enforce it. The total amount of the debt will be deemed paid in full after the expiration of this time period, unless during those years the defendant or his legal representative makes a payment or acknowledges the existence of the debt in writing. This also holds true for any heirs that the defendant may have. According to section §211(b) of the New York civil code, other judgments that include property and similar debts are also assigned a statute of limitations of 20 years. Callwood, Kenrick. "Statute of Limitations for Judgments in New York." 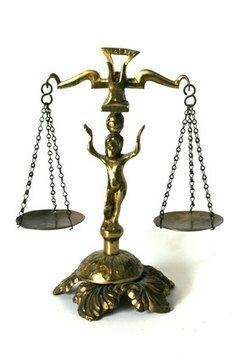 , https://legalbeagle.com/6123881-statute-limitations-judgments-new-york.html. Accessed 19 April 2019.